Crafty Garden Mom: What I'm Reading This Month + Giveaway for Evanovich fans!!! I've started Elizabeth Berg's Home Safe, but I'm not liking it much. I'll give it a few more pages to see if it improves. "All Wound Up: Yarn Harlot Writes for a Spin" by Stephanie Pearl-McPhee. Some of the content seems to be recycled from her blog but she's still a fantastically funny writer. For my book group - "The Hare with Amber Eyes"
First I would like to thank you for the great book, Block Party. 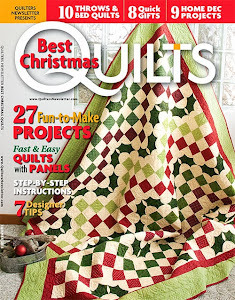 I have plans to make several quilts from the book in 2012 for my nieces and nephews. Also, I have to pass on to you that you and your daughter have inspired me. I thought, if a 4 year-old could hoola hoop then why can't I? Instead of donating my daughter's hoola hoop to Good Will a few weeks ago, when I donated about five boxes of things that she brought home from college and no longer wanted, that I would use the hoola hoop in my workout routines. I have not suceeded yet to keep the hoop going but I do make use of it, even if it is only of a minute on some days. Currently I am listening to The Best of Me by Nicholas Sparks on my ipod and I am reading the book Friendship Bread by Darien Gee. I just finished reading Tallgrass by Sandra Dallas. In this book there is a quilting group. This book is set in Colorado during World War II. I'm reading a lot this month - traveling for work and lots of down time. So far, I've read: Bright Young Things, Spying in High Heels, Don't Make Me Make You Brownies, Gap Creek, Viscount Breckenridge to the Rescue, In Pursuit of Eliza Cynster, Stars Collide, A Knight in Central Park, and am nearly finished with Heart of the Witch. Whew! I have a long backlist of podcasts that I'm catching up on, so don't have a current audiobook going. Thanks for the giveaway. I've arrived here from the Hip to be a Square podcast blog and am enjoying looking around. Currently reading Nora Robert's new book that you mentioned in one of your podcasts. I am a huge fan of hers...so had to buy that one. Just finished rereading the entire Harry Potter Series. What can I say...I am addicted. Oooh, I would love a the copy of "Love in the Nutshell"! Hope I win - haven't been winning anything lately. Thanks so much for mentioning me in your last podcast - I'm "luv4dsbaby" also, which is love for a Down syndrome baby (I'm the one with the twins - one with DS). My DH got a kick out of it! I'm in the middle of the second Spellman book and love it! Thanks for the recommendation. Keep 'em coming! I just listened to one of Janet's novels, unfortunately can't remember the name but loved it. 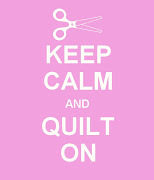 I'm reading Jennifer Chivironi's The Wedding Quilt. I'm also almost finished listening to the 3rd book in the Legend of the Guardian series and wondering what I should check out next from the digital library. "The Kitchen House" is a wonderful book, beautifully written, full of interesting characters and a heartbreaking story. The author mixes enough joy, laughter, tenderness and hope into the story to keep it from being overwhelming. It is a story about an indentured servant living with the slaves and the primary characters are so real you could almost see them. It was a tragic time in our history. Even white women of substance were not that much better off than the slaves if they were married to cruel men. This book will make you laugh and cry, think and feel, and you will not soon forget it.